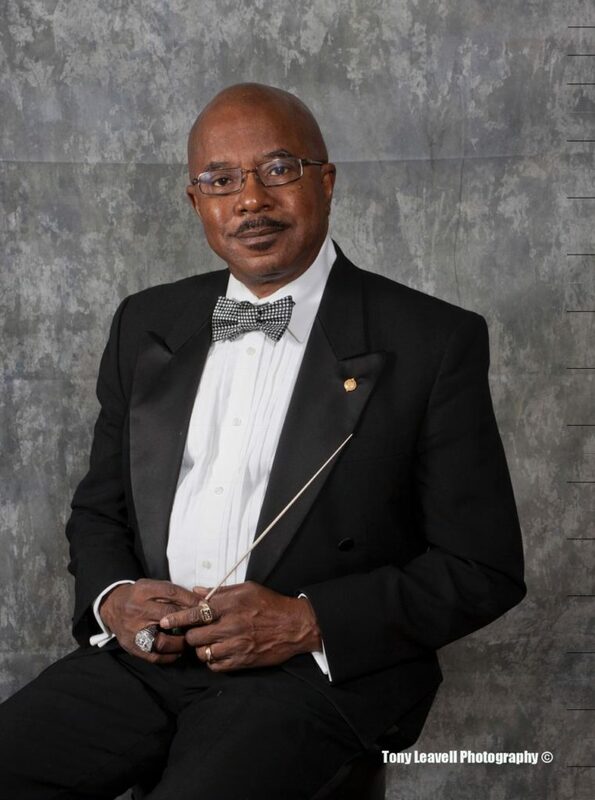 Dr. Julian Earl White, retired Distinguished Professor of Music, Director of Bands and Chairman of the Music Department at Florida A&M University, graduated from Florida A&M University earning a Bachelor’s Degree in Music Education. He later received a Master’s Degree from the University of Illinois, and the Doctor of Philosophy Degree from The Florida State University. Dr. White served as Band Director of The William M. Raines High School for 10 years. Under Dr. White’s leadership, the Florida A&M University Wind Ensemble presented a concert at the American Bandmasters Association Convention, and numerous others across the country. In 2009, the Wind Ensemble was invited to perform a concert at Carnegie Hall. The internationally acclaimed “Marching 100”rendered performances at three Super Bowls, The Grammys, The ESPY nationally televised awards ceremony, CBS Game Day, and the Inaugural Parade for President Barak Obama. Dr. White was the recipient of the Distinguished Professor/Advanced Teacher of the Year Award, the University Superior Teacher Accomplishment Award, and was a three-time recipient of the University Teacher of the Year Award. Association Distinguished Alumni Award. He was also honored to receive the Kappa Kappa Psi National Honorary Band Fraternity, Inc. National Service Award, the highest award bestowed upon a member of the fraternity. He was selected for membership in History Makers of America. The Oral History Interview of Dr. Julian E. White is a permanent part of the History Makers Collection housed in the Library of Congress. The Mayor, and City Council A street in Jacksonville, Florida was renamed “Julian Earl White, Ph.D. Parkway,” The William M. Raines High School music suite was named “The Dr. Julian E. White Fine Arts Complex”. In commemoration of the World War I centennial, Dr. White serves as Director of the replicated 369th Fighting Regiment Band (Harlem Hell Fighters) New York City, New York. Dr. White was selected as a Florida Bandmasters Association Legacy Award Recipient.